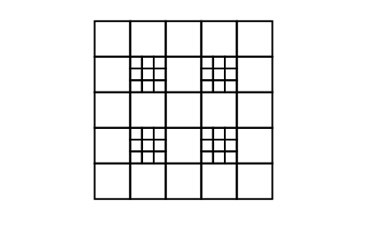 but for this example, 100 x 100 is the apt one. 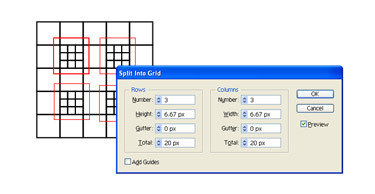 Select the square and go to the menu and select Object > Path > Split into Grid. Set the number of rows and columns to 5.
rows and columns to 5. 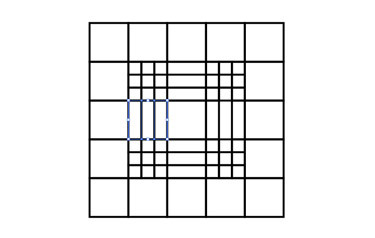 Split the 4 grid squares displayed in red into 3 x 3 grids. rows and columns and gutters to 0. 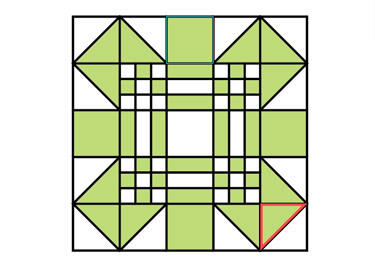 Then click OK.
Repeat the same action for the 3 other remaining squares. 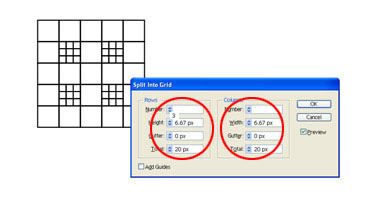 The 2 grid squares displayed in red will be split into 3 rows. 0. Leave the column number as 1. Then click OK.
Repeat the same action for the other grid square. 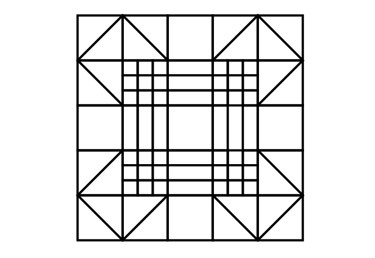 See the 2 grid square in red. You have to split it into 3 columns. column gutters to 0. Leave the row number as 1. Then click OK.
Stroke to black (1 pixel). 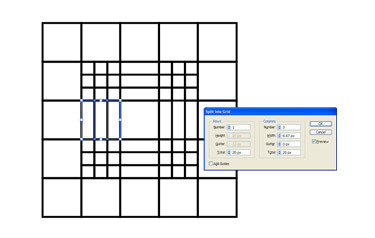 appear when the mouse reaches the corners of the square grids. ready to carry on with the next section. 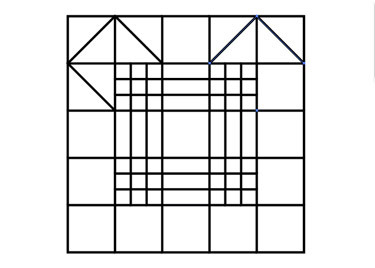 If there are any black lines present outside the main block, it will be removed after colouring the object. Continue the same action with the remaining 3 corners. 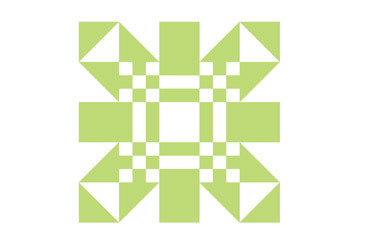 Using the selection tool, select the entire block. Go to the menu and select Object> Live Paint> Make. your fill colour. 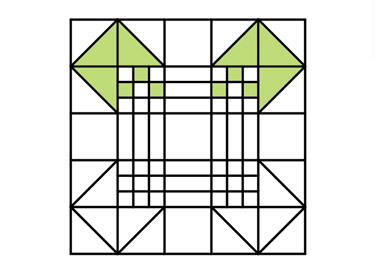 As shown below, click on the outer corners to give colour. 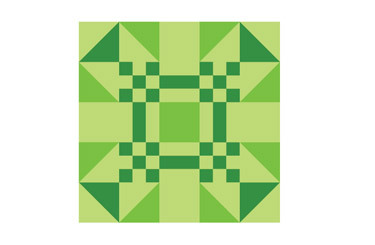 Go on and colour the rest of the block based on the pattern displayed below. Select the entire object and set stroke colour to none to remove the black lines. The quilt box is ready for use! Use the Live Paint Bucket tool and choose another colour (brown). Triple click on any part of the original colour.